We returned home last night from a trip to Boston. As I looked around this morning, re-uniting with my home, I discovered that this is the sort if thing that has been going on around here. 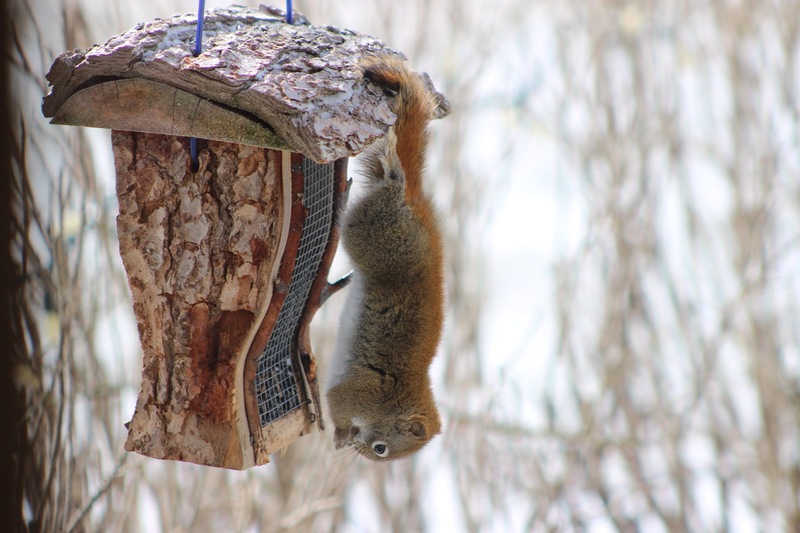 Is this a bird feeder, or a chipmunk feeder? 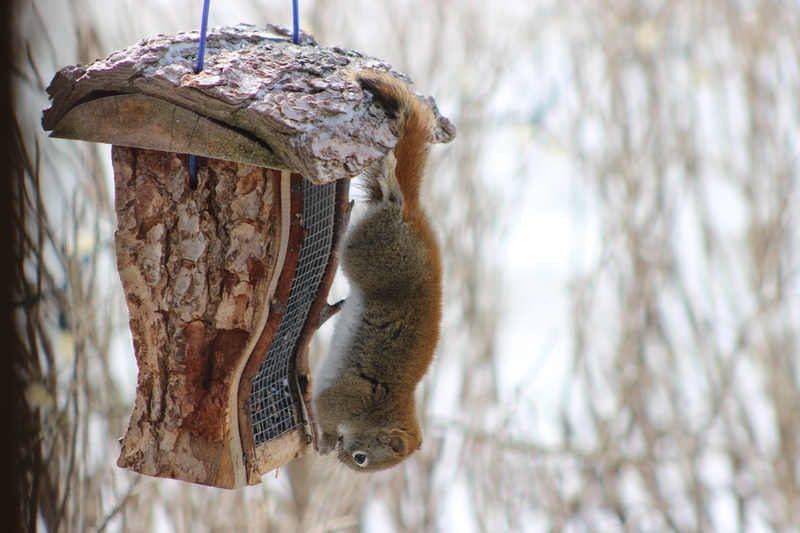 I guess a guy has to eat, but how is he hanging on?